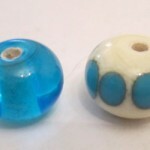 Join local glassblower Andy Gibbs for a glass-bead-making demonstration! 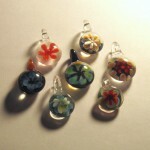 If you’ve ever dreamed of making your own glass jewelry, this type of glasswork has low startup costs which makes it accessible to beginners. 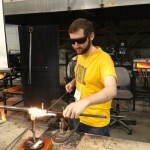 Logan Street Glassworks is the Champaign-Urbana lampworking studio of glass artisan Andy Gibbs. Andy’s unique style reflects his passion for merging scientific and artistic elements of glasswork. He is eager to explore new designs creating pieces as diverse as ornaments, home-brew supplies, jewelry, and miniature vessels. Andy grew up in Columbia, Missouri, but now calls Champaign, Illinois home. 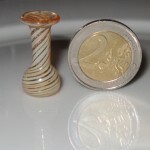 He holds a degree in Scientific Glass Technology and has trained with numerous artistic and scientific glassblowers. Although Andy primarily works with borosilicate glass, he has also dabbled in off-hand furnace glassblowing.